So to be prepared for the high season we close and start renovations as we do every 2 years , we give the building a complete overhaul, new paint, new room decor, work in the garden , new LED lights etc. so we worked very hard to get everything done in the 2 weeks that we has, in total we had 25+ people on site working to get everything done, and we made it. Here’s some pictures of certain parts of our surf camp that got a new look. It’s a short 15 minute drive to Playa Sosua, where you get handed quality snorkeling equipment, a short briefing and off you go in the boat to the best snorkeling sites in Sosua. We absolutely loved the trip, we snorkeled for 1,5 hours and saw plenty of fish, enjoyed the coast line scenery from the boat. Here’s some pictures from our snorkeling trip. 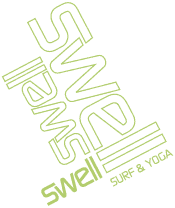 If you are interested in going Snorkeling with the Swell crew, just let one of our staff members know and we can organize it for you. The high season is coming, we think the camp looks better than ever before, so we hope you come and join us this winter for a one of a kind surf adventure holiday.